When lenders talk about mortgages, there are two items that are always brought up together: the annual percentage rate (APR) and the interest rate. Interest rate calculates the monthly payment of the mortgage while the APR calculates the total annual cost of the loan. In this article, you will learn how APR works and how you can use that to your advantage when getting a mortgage. Interest rate is a very important factor when it comes to getting a mortgage. When getting a mortgage to buy your house, you are basically agreeing to finance it and pay for your home in installments. Most people do this because homes are not cheap and most people don’t have hundreds of thousands of dollars lying around to buy a house in cash. The interest rate determines how much extra you will be paying in addition to the principal, which is the amount that you borrowed. The interest rate that you receive is determined by several factors such as the type of mortgage you choose, when you choose to buy a home, your credit score, how much debt you already have when applying for a mortgage, etc. How much you pay in interest depends on the interest rate and your loan amount so if you have a higher interest rate, you will be paying more in interest. The Annual Percentage Rate (APR) is listed alongside the interest rate when looking at the current mortgage rates. This is required by law so that consumers will be able to look at the different rates that different lenders are offering and see which would benefit them the most. While interest rate helps to calculate the monthly mortgage payment, the APR includes the fees that you pay upfront in order to get the loan. This was put into place so that things would be clearer between the lender and the consumer. In 1968 The Truth in Lending Act was put into place so that the consumer would have a better idea of the situation they were about to get themselves in. This ensures that consumers are not taken advantage of and instead properly educated about the true terms and cost of the loan by the lender. 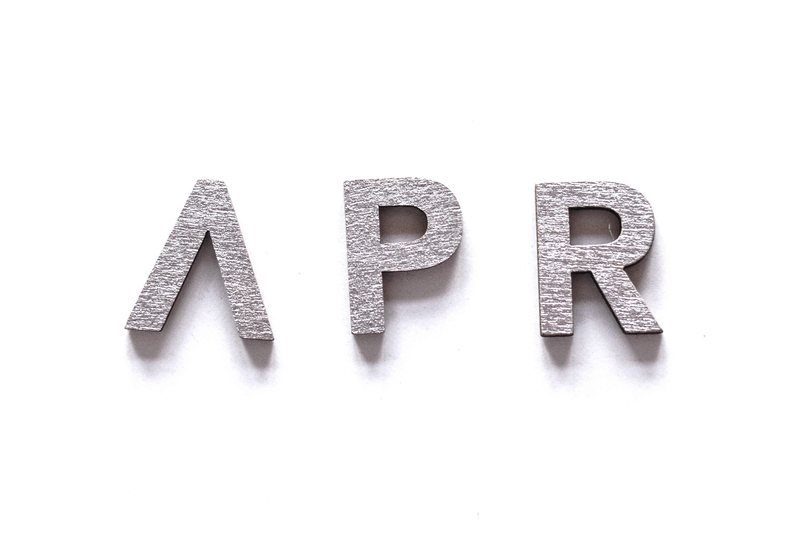 Will the APR Affect My Monthly Payment? In regards to the monthly payment, APR won’t affect it at all. Its main function is to provide more insight to the consumer of what exactly they are getting themselves into. Simply put, a higher APR would result in higher payments over the life of your loan. What Does the APR Include? Because APR includes the total cost of the loan including the interest, the APR will usually be higher than the interest rate. 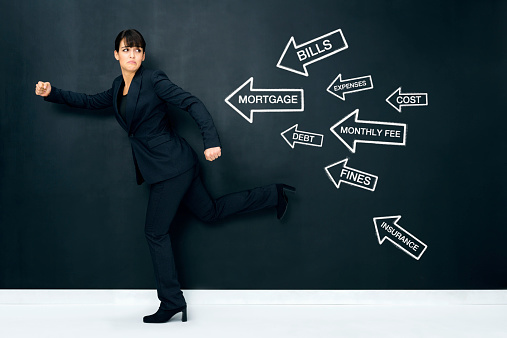 Usually the APR will include loan origination fees, closing costs, broker fees, etc. Basically, the APR should include most financial costs that you pay directly to your lender. If you are a veteran applying for a VA Loan, the APR will most likely be higher. Even though a down payment and mortgage insurance are optional and VA Loans have competitive rates, there is a VA Funding Fee that is included in every VA loan in addition to the closing costs. Likewise, the MIP (Mortgage Insurance Premium) for FHA (Federal Housing Administration) Loans will be factored into the APR. Does the APR Ever Exclude Mortgage Costs? Yes, there are some cases where certain things are not included in the APR. APR usually includes financial transactions that you pay directly to your lender. If you are paying for property taxes and homeowners insurance with your mortgage payment through an escrow account, these will not be included in the APR. The term “escrow” means that a 3rd party is involved to help facilitate a transaction between two parties. Because a third party is involved, these are not factored into the APR. Additionally, property axes and home insurance premiums are not paid to the lender, they are collected by your local government and the insurance company. Home appraisal, home inspection, title insurance and other third party loan fees are also not included in the APR because while they were required by your lender, it was done by a vendor rather than the lender itself. While many lenders advertise the current mortgage rates with the APR, please keep in mind that these rates are not guaranteed. Just because a lender is showing that they are offering interest rates as low as 3%, it does not necessarily mean that you will be getting that rate. As mentioned before, there are different factors that play a role in the final interest rate that you receive. If you don’t happen to have the best credit or if you have good credit but a lot of debt, you will most likely be getting a higher interest rate than what was advertised. You cannot know what the estimated APR will be until the interest rate has been determined. When an APR is higher, it usually means that there are more upfront costs that have been factored in it. For example, closing costs are usually paid out of pocket and upfront when getting a home loan, but you can also choose to pay for your closing costs with your monthly payment by opting for a higher interest rate. Because there are now no upfront costs, the APR will be lower. If you aren’t planning on living in your house for very long, a lower APR can benefit you because you will have saved money. If you paid for the upfront closing costs and discount points to secure yourself a higher APR (but lower interest rate), but had no plans to live in the home for more than 4 years, you will end up paying more for the time that you were living in the home than if you had opted for a lower APR. If you plan on staying in the home for a long while, then paying the closing costs and discount points will be a good idea because over the life of the loan, you will be saving more money. Who Would Want To Take Advantage of a Lower APR? If you are only planning on staying in your home for only a handful of years, a lower APR would make the total cost of your short-lived stay cheaper than if you had opted for a higher APR. You could also take advantage of an ARM (Adjustable Rate Mortgage) and pay less in closing costs while also reaping the benefits of a lower interest rate. With an ARM, there is a window of time called the initial period. During the initial period, the interest rate is fixed and is also lower than the interest rates associated with 30- Year fixed rate mortgage, even when the term for an ARM is also 30 years. The initial period is usually for 5 years, but you can choose to have a longer initial period lasting for 7 or 10 years. Since the temporary fixed interest rate is lower, the tradeoff is that once the initial period ends the interest rate will “adjust” or change itself to reflect the current market. Before the initial period is over, you will already have sold your home, paid back the loan, and paid less in interest. Pair that with a lower APR and not only will you have taken advantage of the lower interest rate, but you will also have paid less for your living situation overall. Keep in mind that if you want to lengthen the initial period, you will most likely get a slightly higher interest rate than if you were to choose the standard 5 years. APR is a great comparison tool to see how much you will be paying to lenders because it encompasses how much you’ll be spending on your loan on an annual basis. A lower APR can benefit the home owner if they are planning on moving in several years. If the situation changes and the homeowner later decides that they want to stay, they can refinance their mortgage and try to get a lower interest rate. While they will have to pay for the fees that come with getting a new loan, they will be saving more money by paying for the upfront costs over the life of their loan.